However, what are the criteria by which they are judging the cover? There's the rub. Readers have a very specific set of questions as they browse, and when your cover comes up, it'll get between 0.2-0.7 seconds to answer all of them. If the answers aren't good enough, they'll never click over to your blurb. 2. What genre is it? 3. What subgenre is it? 5. is it well done? When you're trying to convey this much information in so little time, every design element is crucial. Let's go through them. As an author, your name is your brand. If you give me a list of titles I haven't read yet, and there's a Mike Williamson or a Lois Bujold on there I haven't read, I'll buy them sight unseen, cost irrelevant. If I see a new Patricia Briggs, I'm not going to spend $16 for an ebook - but six months later, when I've long forgotten most of the books I didn't buy, I'll still check now and then to see if the publisher's dropped the price yet. You don't have to be a mega-bestseller to have readers who like your books enough to look forward to your next one - in fact, chances are high you'll have these long before you know it. So, genre. Look at your genre very carefully, then look at your subgenre very carefully - again, look at the print books over the ebooks, because they're less likely to have risen that high despite the cover instead of with its help. Two caveats. First, make sure the books you are looking at are recent. Fahrenheit 451 is going to sell gangbusters despite a very dated cover because Fahrenheit 451. Imitating its cover is not a help. Second, Baen Books has put decades of branding into a very specific art style that really pops in print, not in ebook. They've built a large and loyal following who look for that style, that branding, in order to buy new Baen books / try new Baen authors. 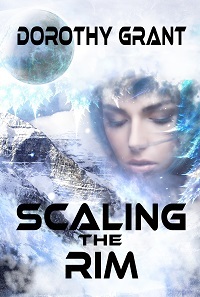 This isn't going to help you if you're a new science fiction author trying to get people's attention in a 60x100 pixel space with your cover. Fantasy genre practically requires something that looks like a painting, but not a piece of classical art. Literary can be a photo or an excerpt from a classical painting, depending on the subgenre of literary. Science fiction must look like a painting, not a photo - unless it's of a planetary view. However, where fantasy tends to "this looks like an oil painting", science fiction tends to "this is an almost-photo-quality-realistic" painting. Romance tends to actual photographs. Thriller and Horror tend to actual photographs, then heavily altered/darkened/blurred past the central point... or icons. Chick Lit tends strongly toward drawn, almost cartoonish illustrations. Mystery... depends heavily on the subgenre. What kind of art you use will signal which subgenre. These will change over time. What I say now may not apply in five years. Keep up with your cover art trends, and expect to have to rebrand / redo your covers in the future, to make them look exciting and interesting to new browsers. Then, of course, there's your actual image. This image is supposed to indicate at least three of the five W's: Who, What, When, Where, and Why. (How, we leave for the reader to discover on the pages inside.) It can be as simple as a woman with a katana and a gun, in a dynamic pose (dynamic - looks like she's moving, as opposed to static, like a cityscape.) Great. That tells us there's a woman, there's action, and it involves modern guns and swords (as long as it's not a blunderbuss or a raygun, or she's not wearing a futuristic bodysuit or historical garb.) 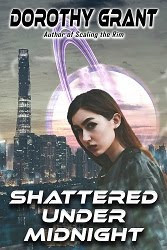 Probably thriller, maybe action/adventure... now, if she had her back to the reader in a static pose, was showing a fair bit of skin, and there was a dark city in the background, it'd be paranormal romance instead. Important note. Your cover is not a representation of your book; it's an advertisement for your book. Has your cover designer shown you a picture with a heroine that doesn't look like the character in your head? Does the beefcake model have brown hair instead of black, and wide shoulders instead of a wiry body? Is the spaceship completely different than the ones in the book, and they never exploded in an orbit that close to the planetary background? IT DOESN'T MATTER. Repeat after me: "Advertisement, not accurate representation." It's great if you can get both. It's not crucial. For a great example of how much work the typography does, watch this. If you go back and look up the original movies, you'll promptly see how much the typography alone enforces and reinforces the genre. In books, we don't get multiple images like movie trailers, so the font carries an even heavier load. Go back to your top books in genre, and look at the font. Then, go to a place like font squirrel, and look around at just the different fonts to see what they convey. Yes, fonts are works of art, just like paintings and books, and unless you get one that's public domain (why do you think I'm sending you to FontSquirrel? ), you're going to have to buy a license to use it. For the absolute right font, that's as worthwhile as buying cover art. For those of you just getting started, you can trade time for money, and do it free, just as you can do public domain images - but it will take longer. If, when you stand back and eye your cover in amongst other covers, it looks just like the trad pub books around it, it will subconsciously promise "this is a good one - it won't have terrible plotholes, bad spelling, cardboard characters and awful cliches." If it stands out - photo when the others are paintings, wrong typography, unbalanced cover - it's not promising a bad novel, it's just not promising a good one. This is not the time to be groundbreaking; this is the time to be the best of the herd. Where do you find Good Art Cheap?